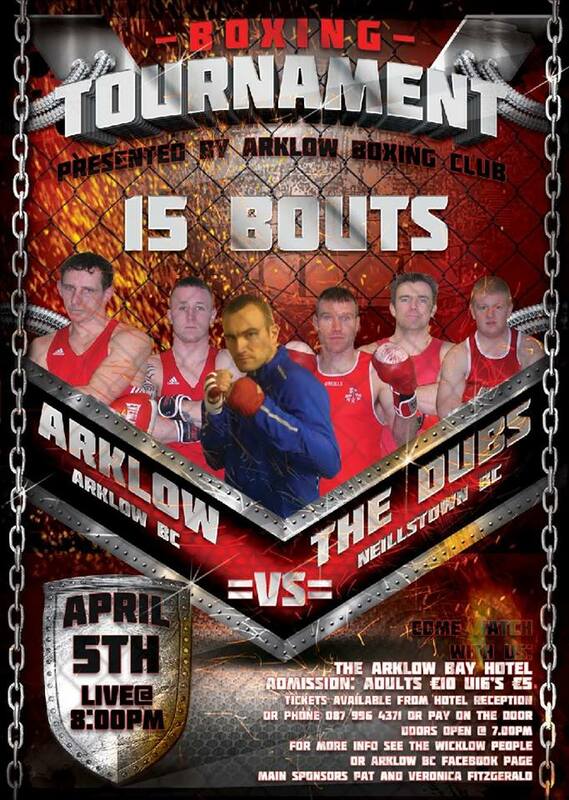 DON’T FORGET Boxing Tournament tonight in the Arklow Bay Hotel @ 8pm. Doors open @ 7pm. Adm: Adults €10. U16’s €5. Gonna be a great night of boxing !! !